The Canadian and Aga Khan Development Network envoys have pledged continued support to the central Bamyan province of Afghanistan. The two envoys reaffirmed commitments during a visit to the central Bamyan province where they met with the local officials including provincial governor Mohammad Tahir Zahir. According to the provincial government media office, the Canadian Ambassador Deborah Lyons and the ambassador of his highness prince Karim Aga Khan to Afghanistan Nurjehan Mawani discussed development projects in Bamyan province with the local officials. Lyons said their visit to Bamyan province was focused on review of development projects in this province including construction of Bamyan hospital, discussions on priorities of Bamyan provincial government and continued development projects in this province. Hailing the Bamyan leadership for their commitment to development projects in Bamyan, Lyons reaffirmed support to cooperate in development projects in this province, promising that she will pass the message to other development partners. Meanwhile, the Aga Khan ambassador to Afghanistan Nurjehan Mawani explained regarding the Aga Khan Development Network’s projects in Bamyan province. She mainly focused on the construction of Mullah Ghulam and allocation of land for the installation of solar power in a bid to help the work of the hospital. The first six specialist doctors to graduate from the French Medical Institute for Children’s Postgraduate Medical Education Programme have been awarded certificates of specialization today by Dr Ferozuddin Feroz, Minister of Public Health and the Professor Farhat Abbas, Dean of Aga Khan University Medical College at a PGME Graduation Ceremony. The funding of PGME programme is provided by the Government of Canada. The Afghan-German cooperation handed over three newly constructed buildings to the local government in Kunduz province: two schools in Dashti Archi and Chardara districts, and a new teacher training college in Imam-Sahib district. Built at a total cost of about AFN 87mn, the facilities are funded by the German government via the Stabilization Program for Northern Afghanistan (SPNA). SPNA is funded by the German Federal Foreign Office, managed by KfW Development Bank, and implemented by the Aga Khan Foundation, in partnership with Mercy Corps and ACTED. A newly constructed Comprehensive Health Centre (CHC) in Takhar’s Khaja-Bahauddin district was officially handed over to the province’s Department of Public Health (DoPH) on Monday. The new hospital will provide health care services to approximately 30,000 people living in the district. Every day, around 70 – 120 patients are expected to be admitted to the hospital for treatment. The new hospital building consists of patients’ rooms for women and men, a laboratory and a pharmacy. Additionally, it has a vaccination room and separate staff rooms for female and male employees. The facility was built and furnished at a total cost of roughly AFN 21 million, funded by the German government via the Stabilization Program for Northern Afghanistan (SPNA). Before the opening of Khaja-Bahauddin’s CHC, the district’s inhabitants did not have proper access to health facilities. Those who could afford would make a trip to the provincial hospital in Taloqan or to neighboring districts’ health centers. However, they faced several challenges. Bad or blocked roads and poor weather conditions sometimes made it impossible for people to reach the health facilities in time. “Today we are taking over a project that is crucial for improving people’s access to medical services. It will improve the quality of life – not only for the people from Khaja-Bahauddin, but also from neighbouring districts, which will use the hospital as well”, Dr Hafizullah Safi, Director of Takhar’s Public Health Department said during the ceremony. The inauguration event was attended by the Director of Sectoral Services, Mustafa Rasooly, representatives of the Afghan-German Cooperation, representatives of the implementing organisation (Aga Khan Foundation), the head of Takhar’s line departments, elders of the district as well as doctors and members of the health council. Khaja-Bahauddin’s District Development Assembly (DDA) and the DoPH jointly decided to build this hospital based on the District Development Plan (DDP). The German government’s Stabilization Program for Northern Afghanistan (SPNA) provided support for implementing this project. The program SPNA is funded by the German Federal Foreign Office, managed by KfW Development Bank and implemented by the Aga Khan Foundation in partnership with the non-governmental organisation Mercy Corps and the French Agency for Technical Cooperation and Development (ACTED). The entire program’s budget amounts to more than AFN 7 billion for the period from 2010 to 2018, targeting the Northern provinces Badakhshan, Takhar, Kunduz and Baghlan. So far, more than 250 small and medium sized infrastructure projects (most of them educational infrastructure) have been funded in 57 districts. In Takhar alone, 76 projects have been accomplished in 13 districts, including the provincial capital Taloqan. KABUL: The French Medical Institute for Mothers and Children (FMIC) celebrated its 10th anniversary at a ceremony on Thursday (November 3rd), marking a decade of easing a nearly 800,000 patients with quality products across Afghanistan. FMIC is the first hospital to perform open and closed pediatric heart surgeries in Afghanistan and built a reputation as the country’s foremost children’s hospital. “It’s the spirit of innovation and collaboration – the relentless drive to push the boundaries of what’s possible – that has made FMIC one of the leading hospitals in Afghanistan,” said chief guest Dr. Ferozuddin Feroz, Minister of Public Health, as quoted in a press release issued by FMIC press office. FMIC is the product of an innovative public-private partnership between the Governments of Afghanistan and France, the French NGO La Chaine de L’Espoir/Enfants Afghans and the Aga Khan Development Network. It is managed by the Aga Khan University. 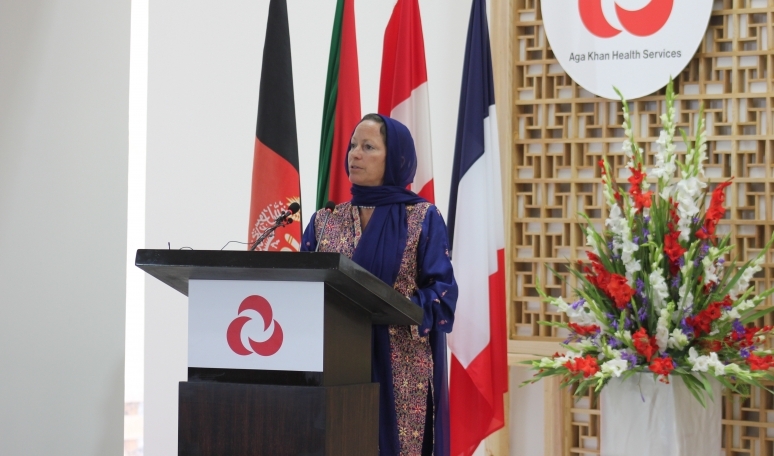 During the ceremony, congratulatory messages of the Chief Executive, Dr. Abdullah Abdullah and the first lady Rula Ghani were read-out by Dr. Habiba Sarabi, Senior Advisor to the Chief Executive on Women and Youth Affairs and Zohra Yousuf from the office of the first lady. “FMIC’s 10th anniversary gives the four partners an opportunity to pause and reflect on the significant impact the hospital has had on the country’s healthcare system,” said the Chairman of FMIC’s Provisional Operating Committee Lee Hilling, who recently published a book on FMIC, A Place of Miracles: The Story of a Children’s Hospital in Kabul and the People Whose Lives Have Been Changed by It. “It appears in the way we care for patients, the way we treat illnesses, the community we serve, and the future leaders we train,” he added. “Since it opened its doors in 2006, FMIC has offered new hope to children by providing treatment previously only available abroad, achieving a number of firsts in the process,” said François Richier, Ambassador of France to Afghanistan. To date more than 2,300 children have undergone cardiac surgery at the hospital, and in 2015 FMIC began to perform adult heart surgery. Last year, FMIC became the first hospital in the country to successfully operate on and separate conjoined twins with an all-Afghan team. According to the press release, over the next few days, there will be several events to showcase FMIC’s role in advancing quality in healthcare systems and medical education. These include a Quality and Patient Safety conference, and the opening of a separate clinic area for adults in specific much needed specialties, a step towards FMIC’s eventual transformation into a tertiary care hospital. La Chaine de L’Espoir Children’s Pavilion, a home for sick children being treated at FMIC and their families, will also be inaugurated. “The hospital’s impact extends far beyond Kabul. Its e-health system allows hospitals serving Bamyan, Badakhshan and Kandahar provinces to consult with FMIC. So far over 20,000 patients have benefited from these tele-consultations,” the press release added, saying FMIC is committed to serving the country’s poorest through its welfare problem. To date it has provided care worth more than US$ 25 million without charge to patients who could not afford it. The celebratory event was attended by ministers, government representatives, diplomats, members of donor agencies and civil society, heads of Aga Khan Development Network agencies and FMIC staff members. KUNDUZ CITY (Pajhwok): Forty schools that were destroyed during recent clashes in northern Kunduz province have been rehabilitated and put into service, officials said on Monday. Mohammad Rustam Ahmadi, acting educationinfo-icon director, told a news conference here that tables, chairs and walls of 40 schools which were earlier damaged had been repaired and the schools prepared for operating. He said the rehabilitation works cost 40.3 million afghanis provided by the Ministry of Education and the Aga Khan Foundation. “The schools repaired are both for girls and boys. The structures were destroyed in clashes during the past one and a half years. They are now fully rehabilitated and ready for usage.” He asked security forces not to allow insurgents again destroy schools and deprive children of education. Governor Asadullah Amarkhel, who was present at the press conference, said his administration gave more importance to education and efforts were in place to avoid destruction of schools again by insurgents. He expressed happiness over reconstructioninfo-icon of the damaged schools, saying it was pleasing that children had resumed going to school. A group of fourteen doctors graduated after completing trainings in seven different areas with the Aga Khan Development Network. The Office of the President, ARG Palace, said President Ghani met with the graduated doctors after they completing their trainings in the French Medical Institute and the Aga Khan University and Hospital Karachi. The doctors completed their training with the financial support of the government of France, a statement by ARG Palace said. President Ghani expressed optimisms regarding the graduation of the doctors and said the trainings they have received will help in offering better health services which were not available in the country before. He urged the fresh graduates to hold a meeting with his health adviser in a bid to arrange further trainings or job opportunities. According to President Ghani, the construction of a standard hospital by the Aga Khan Development Network will further help the new graduates and other doctors to have better work opportunities. In his turn, the head of the French Medical Institute in Kabul Dr. Abdullah Fahim said the hospital is well equipped to provide health services for heart and eye patients as the hospital has grown from its preliminary phase to a medium state. Princess Zahra Aga Khan, the daughter of Prince Karim Aga Khan met with President Mohammad Ashraf Ghani in ARG Palace today and reaffirmed continued support to the Aga Khan Development Network to Afghanistan. According to the informed sources, Princess Zahra, the head of the social welfare of the Aga Khan Development Network, was accompanied by a delegation of the network during her visit to ARG Palace. The sources further added that President Ghani hailed the Aga Khan Development for its services in Afghanistan, specifically in the reconstruction and restoration of the country the historic sites including the Chelsitoon park. Pointing towards AKDN’s rich experience in the rehabilitation and restoration of the historic sites, President Ghani urged the network to assist the Afghan students with the training in this sector. The First Lady of Afghanistan Rola Ghani also emphasized on the importance of AKDN’s role in supporting the Afghan women in healthcare, education, and access to justice. In her turn, Princess Zahra reaffirmed continued support of AKDN to Afghanistan and said the main purpose of her visit to Afghanistan is to inaugurate the Telemedicine hospital in Bamyan besides visiting the project sites where rehabilitation of the historic sites are underway. She also added that the one of the purposes of her visit to Afghanistan is to also seek opportunities available for further cooperation in other sectors. Bamyan, Afghanistan, 24 April 2017 – His Excellency the Second Vice President of Afghanistan, Sarwar Danesh, and Princess Zahra Aga Khan inaugurated a US $22.8 million hospital today that will serve the people of Bamyan. The state-of-the-art 141-bed facility places particular emphasis on the needs of women and children, and represents a new chapter for the Bamyan Provincial Hospital. The Aga Khan Health Services (AKHS) began operating the Bamyan Hospital in 2004. At that time, the Hospital had only 35 beds – 15 of which were housed in a tent. Medical staff struggled to meet the needs of the population. As part of a public-private partnership with the Government of Afghanistan, AKHS undertook the challenge of upgrading the hospital. The old facility was expanded to 100 beds, and new equipment was installed. Training was provided to staff and a steady supply of medicines was stocked. The impact was remarkable: admissions rose from 1,900 in 2004 to more than 11,000 in 2016; outpatient attendances increased from 43,000 to 175,000; deliveries from 100 to more than 3,000 and the number of major operations from 150 to more than 600. In response to the clear need for a purpose-built facility, the Bamyan Provincial Government allocated 6.4 acres of land on the outskirts of the town. The new hospital was built by the Aga Khan Agency for Habitat, which specialises in ecologically friendly and seismic resistant construction. Over half of the facility’s power is supplied by solar panels located on a hilltop behind the hospital. The construction of the new facility was funded by the Government of Canada (US $17 million), the Aga Khan Foundation Canada (US $3.2 million) and the Government of France (US $2.3 million). The hospital’s operations continue to be principally funded by the Aga Khan Health Services; since 2004, this funding has amounted to over US $15 million. The Aga Khan Development Network (AKDN) has been active in Bamyan since 2003. The upgrading of the hospital is part of the AKDN’s broad contribution to the improvement of health services in Afghanistan, which include the upgrading of health facilities, the training of nurses, midwives and doctors, and wider support for the delivery of quality health services and the rebuilding of the country’s health infrastructure. The Bamyan Provincial Hospital and the Faizabad Provincial Hospital in Badakhshan (also operated by AKHS), are the only provincial hospitals in the country to have received ISO-9001 certification. The French Medical Institute for Mothers and Children in Kabul is managed by the Aga Khan University, having been established through a public-private partnership with the governments of France and Afghanistan, the Aga Khan Development Network and the French NGO La Chaîne de L’Espoir. 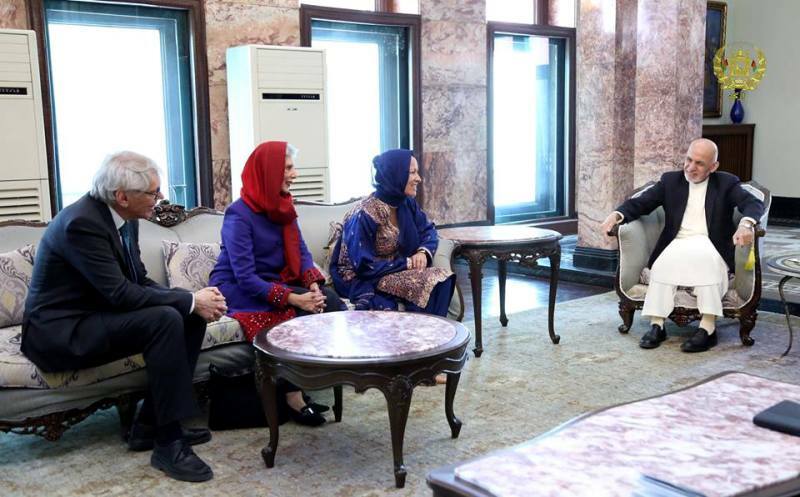 Earlier in the day, Princess Zahra Aga Khan met with His Excellency President Ashraf Ghani and Her Excellency First Lady Rula Ghani, His Excellency Chief Executive Dr Abdullah Abdullah, His Excellency Second Vice President Sarwar Danesh, and His Excellency Governor of Bamyan Mohammad Tahir Zahir. The Aga Khan Development Network has been committed to the reconstruction of Afghanistan since the beginning of this century, having channelled close to a billion dollars towards the country’s development. Bamyan, Afghanistan, 24 April 2017 — For half a million people living in the mountainous Afghan province of Bamyan, health care standards are scaling new heights. Today, Princess Zahra and the Second Vice President of Afghanistan, Sarwar Danesh, opened a 141-bed facility for the Bamyan Provincial Hospital. With a major focus on the health of mothers and children, the facility expands the hospital’s capacity to deliver much needed services in obstetrics and gynecology, paediatrics and surgery. “It is my deep hope that this new hospital with its expanded facilities will be a role model for health facilities in Afghanistan and will provide essential healthcare to the people of Bamyan and the neighbouring provinces,” said Vice President Danesh during the inauguration ceremony. The facility’s opening is the latest milestone in a journey that began in 2003, when the Aga Khan Health Services assumed responsibility for operating the hospital. The impact on the people of Bamyan was enormous. Over the space of a decade, admissions grew nearly sixfold: from 1,900 in 2004 to 11,000 in 2016. The number of deliveries exploded from 100 to more than 3,000. Waiting times dropped, permitting patients to see doctors faster, and overall clinical quality improved. But despite massive improvements over the years, some 10 per cent of the country’s children still die before the age of five. Afghan women have a 1 in 52 chance of dying due to pregnancy or childbirth. These are statistics that the Aga Khan Development Network and its partners are actively working to change. Bamyan Hospital is part of an ISO-certified health system of four hospitals, 12 health centres and more than 125 clinics and health posts, all serviced and supported by AKDN and its partners. Many of the doctors, nurses, midwives, and other health professionals who staff these facilities are also trained by AKDN. Over 1.6 million patients are cared for through the medical network. Furthermore, through telemedicine, they gain access to expertise from the French Medical Institue for Mothers and Children in Kabul and the Aga Khan University Hospital in Karachi. To date, over 20,000 Afghan patients have benefited from this e-health link. Development of the new hospital complex was led by the Aga Khan Agency for Habitat. It is designed to be earthquake resistant and makes use of innovative “rammed earth” construction to blend with its surroundings. It is also highly energy-efficient, with solar panels supplying more than 50 per cent of its power. Acknowledging the planners, architects, contractors and others involved in the project, Princess Zahra also thanked the governments of Canada and France for their financial support towards the USD $22.8 million cost. Global Affairs Canada funded approximately three quarters of the total, with the balance coming from the Aga Khan Foundation Canada and the Agence Française de Développement. “I would also like to acknowledge the thousands of Canadians who contributed to Aga Khan Foundation Canada’s fundraising efforts for the construction of the hospital,” said Princess Zahra. Thank you, governor Zohair for your very warm welcome to Bamyan. Today is a momentous day as we open the new Bamyan Provincial Hospital. The Aga Khan Development Network started work in the Bamyan Province in 2003. At that time health service delivery at Bamyan Hospital was provided from a 35 bed facility with 72 staff working mainly out of tents. There was no Essential Package of Hospital Services, nor a Masterplan for the Hospital to guide its development, very limited equipment, medicines and consumables, and there was a great shortage of qualified health staff. Major changes have occurred since then; at the old premises the hospital was upgraded and expanded, more and better qualified staff were brought in, training programmes commenced, new equipment was installed and the hospital became well-stocked with medicines and consumables. The investments have had an impact: the volumes at the hospital increased and performance improved. The number of admissions went up from 1,900 in 2004 to more than11,000 in 2016, the outpatient attendances from 43,000 to 175,000, deliveries from 100 to more than 3,000, and major operations from 150 to 600. Similarly, the hospital has seen a good reduction in waiting time for the patient to see a doctor, and in quality indicators such as the number of inpatient falls, infections acquired in the hospital during admission, medical errors and needle stick injuries and a steadily-declining average length of stay – these are all signs of improving clinical quality. In 2012 the Bamyan Provincial Hospital received ISO-9001:2008 certification, the first and with Faizabad Hospital in Badakhshan the only Provincial Hospitals in Afghanistan with this ‘quality’ accreditation. Next to investing in infrastructure and equipment, Bamyan hospital management, supported by the community hospital board, has been able and continues to invest in training and capacity building of the now more than 200 staff, and the Aga Khan Health Services, Afghanistan with its partners pays much attention to the importance of continuing education for medical, nursing and allied health staff, as well as management and support staff. The telemedicine or e-health link, established in 2009, also plays an important role. It creates the opportunity for the staff at Bamyan hospital to connect to the FMIC in Kabul and the Aga Khan University Hospital in Karachi; these extend support and advice, build capacity and enable an exchange of medical data and information for analysis. Enabling this technology to come to Bamyan has made and continues to make a significant impact to the quality improvements in health service delivery at the hospital. To date in Bamyan, more than 9,000 patients have benefitted from telemedicine and more than 4,000 Afghan medical personnel have participated in diagnostic and training opportunities facilitated by this link. However, Bamyan Provincial Hospital became in a way victim of its own success: the old premises became too small to cope with the increasing number of patients and there was no possibility to expand further. We are grateful to be able today to officially open this well-designed and constructed141 bed hospital on this site gifted by the Bamyan municipality. The new hospital is state of the art when it comes to functionality, but it is also designed to be highly energy efficient and structurally safe and seismically resilient. The building also has some unique architectural features – the external finishing using traditional mud construction that makes the hospital blend in so well with the natural environment by applying new innovative ‘rammed earth’ technologies to make it durable; the central Charbagh, the views of the external spaces with the wonderful views of the mountains from all corners of the building and creating a sense of being connected to nature while being inside; the art work that you see on the walls using local historical motives and the 400 KW solar plant that provides for the majority of the electrical supply of the hospital. I want to thank all who created this beautiful facility on time and within budget; hospital planners CPG, architects ARCOP, contractors Raqim, the Aga Khan Agency for Habitat construction management team, and the steering committee that judiciously oversaw the project. I must make special mention of the important Canadian support, through Global Affairs Canada, that allowed us to build this hospital. Global Affairs Canada has been one of the AKDN's long-standing partners, supporting the establishment of the Aga Khan University School of Nursing in Pakistan some three decades ago, and now supporting so much of our work in maternal, newborn, and child health as well as health systems strengthening here in Afghanistan, and in other parts of Central and South Asia. Phase 2 of the hospital construction, including the installation of the solar plant, was made possible through the Health Action Plan for Afghanistan or HAPA programme, that brought another longstanding collaborator of AKDN; France, through the Agence Française de Développement. Thank you, AFD. I would also like to acknowledge the thousands of Canadians who contributed to Aga Khan Foundation Canada’s fundraising efforts for the construction of the hospital. Let me end by expressing our warmest gratitude to all of you and especially to the Government of Afghanistan: President Ashraf Ghani, first Lady Rula Ghani and Chief Executive Dr. Abdulla Abdulla whom I met this morning, Vice President Sarwar Danesh, Minister of Public Health, Dr. Firozuddin Firoz, Minister of Public Works, Engineer Mahmoud Baligh, Governor Mohamed Tahir Zuhair and many others for their support to AKDN and to our staff, that has made it possible for us to play a role towards improving the health of the people of Bamyan province. The way you have taken on the responsibility of the stewardship role and guided us in the implementation of the Essential Hospital Services Package for Bamyan Hospital, the Basic Package of Health services in remote areas of Afghanistan, and the Community Midwifery and Nursing Education Programmes in three provinces has truly been exemplary. The Aga Khan Development Network itself remains dedicated to working with the Government of Afghanistan and through it, to building the quality of life of its great people. Through investments in the private sector – telecommunications, hospitality, tourism and microfinance – as well as concurrent investments in the social and cultural sectors – health systems strengthening; health professionals training including post-graduate medical education and diploma level nursing through the Aga Khan University; primary, secondary education and adult literacy programmes; facilitating village community organisations; the restoration of the Bagh-e-Babur gardens and the urban area around it. Through these multiple interventions, the Network seeks to harness and influence the various dimensions of human life such that together, they chart a course for growth while building social protection. The Second Vice President of Afghanistan, Sarwar Danesh, and Princess Zahra Aga Khan on April 24 inaugurated a US $22.8 million hospital that will serve the people of Bamiyan, according to the Aga Khan Development Network (AKDN). The state-of-the-art 141-bed facility places particular emphasis on the needs of women and children, and represents a new chapter for the Bamiyan Provincial Hospital. The Aga Khan Health Services (AKHS) began operating the Bamiyan Hospital in 2004. At that time, the Hospital had only 35 beds – 15 of which were housed in a tent. Medical staff struggled to meet the needs of the population. In response to the clear need for a purpose-built facility, the Bamiyan Provincial Government allocated 6.4 acres of land on the outskirts of the town. The new hospital was built by the Aga Khan Agency for Habitat, which specializes in ecologically friendly and seismic resistant construction. Over half of the facility’s power is supplied by solar panels located on a hilltop behind the hospital. AKDN has been active in Bamiyan since 2003. The upgrading of the hospital is part of the AKDN’s broad contribution to the improvement of health services in Afghanistan, which include the upgrading of health facilities, the training of nurses, midwives and doctors, and wider support for the delivery of quality health services and the rebuilding of the country’s health infrastructure. The Bamiyan Provincial Hospital and the Faizabad Provincial Hospital in Badakhshan (also operated by AKHS), are the only provincial hospitals in the country to have received ISO-9001 certification. The French Medical Institute for Mothers and Children in Kabul is managed by the Aga Khan University, having been established through a public-private partnership with the governments of France and Afghanistan, the Aga Khan Development Network and the French NGO La Chaîne de L’Espoir. Earlier in the day, Princess Zahra Aga Khan met with Afghan President Ashraf Ghani and First Lady Rula Ghani, Chief Executive Dr. Abdullah Abdullah, Second Vice President Sarwar Danesh, and Governor of Bamiyan Mohammad Tahir Zahir. The Aga Khan Development Network has been committed to the reconstruction of Afghanistan since the beginning of this century, having channeled close to a billion dollars towards the country’s development. KABULinfo-icon (Pajhwok): Netherlands’ ambassador in Kabul Geoffrey van Leeuwen on Wednesday said his country would provide $12 million to Afghanistaninfo-icon for womeninfo-icon’s empowerment over the next three years. Leeuwen told a gathering marking the launch of “Economic Stability with Support of Afghan communities program” in Kabul that the Netherlands was Afghanistan’s partner and would extend its support in different areas. “We are sending strong massages to the people of Afghanistan that we will remain committed to your country not only in the field of security but also in the field of development,” he said. He said his country was grateful to be a partner of the beautiful country. Leeuwen believed the launch of the program would bring together all partners to meet several needs from economic development to empowerment of women and private enterprises. He said Afghanistan had made good progress in improving women's capacity over the past years and Holland has been helping in this regard. Within the next three years, he said, his country would provide, $ 12 million in aid through the ‘Economic Stability Program for the Afghan People's Communities. Seyed Jalal Shah, executive director of the Agha Khan Foundation, who is implementing the project, said the program will be implemented in provinces of Takhar, Badakhshan, Kunduz and Bamyan, covering at least 1,500 women, in the next three years. He added under the program women were trained in computer, sewing and other sectors, from one to six months. He pointed out that the overall goal of the "Economic Stability Program” was to empower women. Faizullah Zaki, acting Labor and Social Affairs minister, expressed satisfaction at the announcement by the Dutch envoy, saying that the aid was effective in economic development of women. "The women of these four provinces can expand their businesses when have vocational educationinfo-icon," he added. Zaki asked donors to monitor implementation of projects supporting so the desired results could be achieved. "I am confident that the effects of this project will have a direct impact on good governance and women's advancement in Afghanistan," said Minister of Women’s Affairs Delbar Nazari. She expressed her support for the project and added the growth of household economics would play a key role in Afghanistan's economic growth, and empowering women in work priorities of the government. "The root of most violence lies in poverty and economic discrimination, Afghan women need economic growth to fight poverty." At the end, women from Bamyan, Takhar, Kunduz and Badakhshan provinces showcased their handicrafts at a show. AKF’s Girls Education Support Programme undertook a number of initiatives in Afghanistan, including support for the Bamyan Teacher Training College. In 2015, it expanded the women’s dormitory at the college, with Canadian funding. The British embassy in Afghanistan in collaboration with the Independent Directorate of Local Governance (IDLG) and the Aga Khan Foundation (AKF) has launched a $6.7m project “ACCESS” aimed at improving the delivery of services to Afghan citizens in the country. The project is expected to be implemented in at least six provinces of the country within the framework of “Citizens' Charter” program. The project will cover areas such as training, health, power supply, education and water supply. The initiative will help over a million Afghans in six provinces to benefit from the program. "This programme is a sign of the importance UK gives to building good local government that communities have a say in - providing education, health and power," said British ambassador to Afghanistan Nicholas Kay. According to the British envoy, the aid is not the first that the UK government has provided to Afghanistan to improve its local government, adding that in the past, UK provided technical and financial aid to decrease poverty and improve governance. “UK has supported, this is nothing new, we have over the years supported Afghanistan’s sub-national governance through financing and technical assistance and with our aim of reducing poverty, this program adds to that long history,” added Kay. The attack came exactly a week after Taliban insurgents stormed Kabul's landmark Intercontinental hotel and killed at least 25 people, the majority foreigners. But there is still confusion over the true toll from that attack with conflicting figures given by officials and Afghan media reporting higher numbers. Some foreign organisations are reassessing their presence in Afghanistan following the spate of deadly violence. The Aga Khan Foundation is moving its foreign staff out of the country, several sources told AFP. At least one Western humanitarian group is relocating its foreign staff to other cities in Afghanistan, a source said. The Ismaili Council for France, French NGO La Chaîne de l’Espoir, and the Aga Khan Development Network hosted an event on 10 April 2018 to present Dr Lee Hilling’s book A Place of Miracles. The event was held at the Afghan Embassy in Paris and was attended by representatives from the diplomatic and civil society sectors. A Place of Miracles presents the success of the French Medical Institute for Children (FMIC), a Public-Private Partnership between the French Government, the Government of Afghanistan, La Chaîne de l’Espoir, and AKDN. Public-private partnerships are strategic collaborations that bring together resources, competencies, and best practice, and have proven an effective means of spurring social progress. FMIC represents the first public-private partnership in the field of health in Afghanistan. In 2001, La Chaîne de L’Espoir, a French NGO with a mission to care for the most vulnerable children in the poorest parts of the world, proposed building a maternal and child hospital in Kabul, which would contribute to the reconstruction of the country’s healthcare system. They approached the Government of Afghanistan, who donated land; and AKDN, to run the hospital. In 2006, the partnership between the parties was formalised, and FMIC was officially inaugurated in the presence of Mawlana Hazar Imam, President Hamid Karzai of Afghanistan, and French First Lady Madame Bernadette Chirac. HERAT, Afghanistan, April 18 (Xinhua) -- The Afghan government is determined to save the rich, historical sites and cultural facilities in the insurgency-hit country, an official told Xinhua during a recent interview. The western Herat province with Herat city as its capital, 640 km west of the country's capital of Kabul, is home to a number of famous historical and cultural sites. "We have had some successes in protecting and maintaining historical and cultural sites in Herat," Aria Raufian, head of Herat's Information and Culture Department, told Xinhua. "And besides the government's efforts, the Agha Khan foundation (a non-governmental association) has also contributed to the protection of more than 52 sites in different parts of Herat, like the old city and the Qal'a Ikhtiyar al-Din or castle of Ikhtiyar al-Din." "In addition, we have rebuilt some heritage sites such as the great Temple of Herat. In total about 3 million U.S. dollars have been spent on historical and cultural sites' protection and fortification in recent years in Herat," Raufian added. The official urged for more protection of archeological sites in the countryside. KABUL-Disfigured by four decades of war, the Afghan capital Kabul offers few reminders of its former glory in Islamic art or religious tolerance but a rare exhibition of Mughal paintings is seeking to change that. Dozens of enlarged reproductions of miniatures - highly detailed paintings the size of a school notebook - that were created in Kabul during the 16th century have gone on display in Babur Gardens, where the first Mughal emperor is buried among roses and pomegranate trees. For American historian and Islamic art expert Michael Barry, the exhibition of more than 60 paintings is the culmination of a promise he made to himself while working in Kabul over the past decades. “When I was standing in this garden, shattered under mortars and rockets in the 1990s (civil war), I swore to myself that one day I would bring back its glory,” Barry told AFP recently during a tour of the display he curated. The original miniatures are held in private and institutional collections around the world and are so delicate they need to be kept in the dark most of the time, Barry said. To enable ordinary Afghans to see the precious works and appreciate the richness of their country’s artistic heritage, the American Institute of Afghan Studies ordered enlarged, high-resolution copies of the paintings on metal to be made in Paris. “This imaginary museum restores in Kabul what made its glory,” Barry said, as he walked around the hall of reproductions. In the mid-16th century, several painters from the western city of Herat, where miniature painting had flourished under the Timurid empire, were invited to Kabul by Emperor Babur’s son, Humayun. The paintings created in Kabul gave birth to the Mughal art of India, Barry said. Babur is one of the last Mughal gardens and has been described by UNESCO as “an outstanding example of a cultural landscape”. It was designed by Emperor Babur before he conquered northern India and it eventually became his final resting place. The garden was devastated during the Afghan civil war in the 1990s but has since recovered with the help of the Aga Khan Foundation to become a popular place for young couples and family outings. Barry hopes the exhibition will remind Afghans that their country once boasted “tremendous wealth of extraordinary opulence, extremely refined arts and... a policy of religious tolerance like no other in the world”. This tolerance was expressed in the proclamation of “Universal Peace” by the third Mughal emperor Akbar, who was deeply opposed to discrimination. “Hindu generals and ministers served the emperor in equal rank with Muslims, both Sunni and Shiite,” Barry said. The exhibition also shows the connection between the Mughal dynasty and Renaissance Europe: golden halos flatter portraits of emperors while cherubs, chubby and frizzy, cling to powdery clouds. The miniatures also show women’s faces as symbols of spirituality - a very different image to the one of heavily veiled women seen in Afghanistan today. The apparent harmony on display provides a stark contrast to the discord in 21st century Afghanistan, which is divided along ethnic lines and haunted by religious extremists such as the Islamic State group that are intolerant of other faiths. Barry said he hoped the exhibition would send a positive message to ordinary Afghans. President Mohammad Ashraf Ghani met with Nurjehan Mawani, the Ambassador of High Highness Prince Karim Aga Khan in Afghanistan, to discuss the future of Aga Khan Development Network development projects in Afghanistan. The Office of the President, ARG Palace, in a statement said the meeting was organized in ARG Presidential Palace on Saturday morning. The statement further added that two sides discussed the implementation of projects by Aga Khan Development Network in various countries in energy, communications, and agriculture. According to ARG Palace, President Ghani and Ambassador Mawani also discussed facilitation for the implementation of similar projects in Afghanistan. To promote inclusive development and encourage growth of a vibrant civil society in #Afghanistan, AKF provided support for the establishment of @AICSaf. Diagnosis that makes a difference: @FMICKabul's pathology & laboratories are registered with the College of American Pathologists & ISO certified to provide a wide range of quality services. In 2014, in partnership with the Aga Khan Foundation, the Bamyan Municipality and the Women Economic Empowerment Rural Enterprise Development Programme (previously known as the Afghanistan Rural Enterprise Development Programme) established a women’s handicraft bazaar in town, to provide opportunities for female micro-entrepreneurs and link them to traders and buyers through exhibitions and trade shows. When Nekbakht learned about this project, she consulted her family about the idea, and decided to start her own handicraft business: “When the craft bazaar was under construction, I decided to rent a shop.” In 2017, her business earned a total revenue of 50,000 AFG (US$ 670). Customers included an increasing number of tourists, as well as family, relatives and friends. By 2018, sales had increased by more than seven-fold, to 380,000 AFG (US$ 5,100), with a profit of 60,000 AFG (US$ 800). Steps Toward Afghan Girls' Education Success! Learn more about our DFID funded programme that is supporting over 200,000 girls to get to school and stay in school longer! (MENAFN - Wadsam) The Afghan government signed a Memorandum of Understanding (MoU) for the implementation of a power transmission project and construction of Sheewa Dam in Badakhshan province in Char chinar Palace on Tuesday. Funded by Aga Khan Fund, the USD 631 million contracts are going to fulfill the electricity needs of the province for the next 30 years. The MoU was signed by the Acting Minister of Energy and Water Mohamamd Gul Khulmi, Director of Da Afghanistan Breshna Sherkat Eng. Amanullah Ghalib and Representative of Aga Khan Fund for Economic Development. The projects would be implemented in several phases with each phase to be completed over a period of 7 years.